Ganjaei, A., Dr. Noor Azar, S. (2629). Development of a novel method in TRMC for a Binary Gas Flow Inside a Rotating Cylinder. Journal of Aerospace Science and Technology, 5(2), 67-79. A. A. Ganjaei; S. Salman Dr. Noor Azar. "Development of a novel method in TRMC for a Binary Gas Flow Inside a Rotating Cylinder". Journal of Aerospace Science and Technology, 5, 2, 2629, 67-79. Ganjaei, A., Dr. Noor Azar, S. (2629). 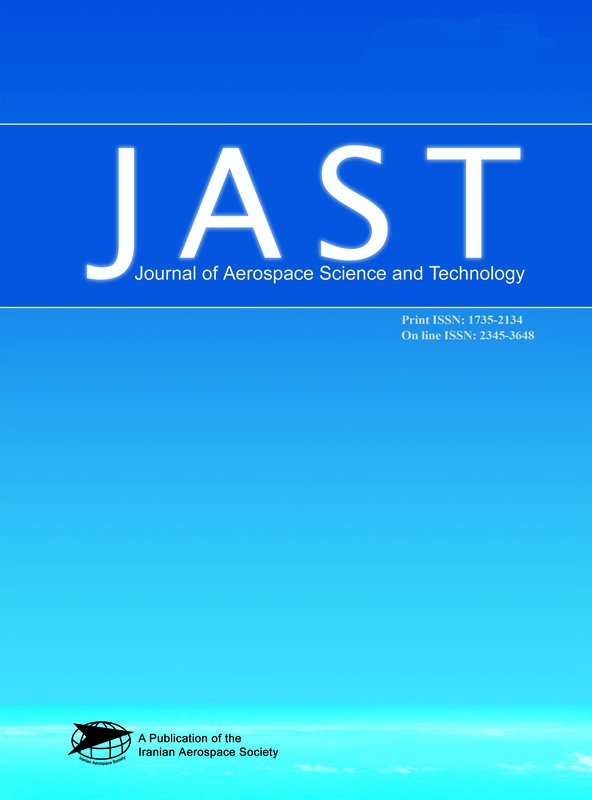 'Development of a novel method in TRMC for a Binary Gas Flow Inside a Rotating Cylinder', Journal of Aerospace Science and Technology, 5(2), pp. 67-79. Ganjaei, A., Dr. Noor Azar, S. Development of a novel method in TRMC for a Binary Gas Flow Inside a Rotating Cylinder. Journal of Aerospace Science and Technology, 2629; 5(2): 67-79. Amir Kabir Univ. of Tech. A new approach to calculate the axially symmetric binary gas flow is proposed Dalton’s law for partial pressures contributed by each species of a binary gas mixture (argon and helium) is incorporated into numerical simulation of rarefied axially symmetric flow inside a rotating cylinder using the time relaxed Monte-Carlo (TRMC) scheme and the direct simulation Monte-Carlo (DSMC) method. The results of flow simulations are compared with the analytical solution and results obtained by Bird, 1994. The results of the flow simulations show better agreements than the results obtained by Bird, 1994 in comparison with the analytical solutions. However, the results of the flow simulations using the TRMC scheme show better agreement than those obtained using the DSMC method in comparison with the analytical solutions.